An eight-second surveillance video posted by Chongqing police on its social media account shows the two got into a fight before the bus veered into the wrong lane and fell off the bridge. A police statement said a female passenger started quarrelling with the driver after she missed her stop. The official Xinhua News Agency said 13 bodies have been retrieved from the river and two others remain missing. No one is believed to have survived. 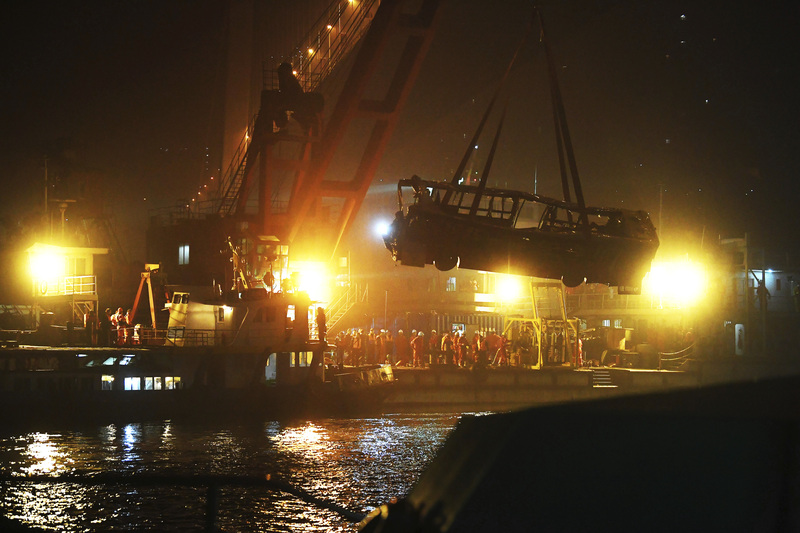 The bus collided with an oncoming car before smashing through barriers and into the Yangtze River on Sunday. Rescuers recovered the wreck of the bus on Wednesday night.